The Scott Forstall interview starts at around the 1 hour 7 minute mark. With this being the 10th anniversary of the Apple iPhone, stories about how the device came to be are proving to be popular. The other day we told you about a new book about the iPhone that just hit the market. The One Device: The secret history of the iPhone reveals what was going on at Apple during the development of its iconic smartphone. Yesterday, Apple's former software chief Scott Forstall appeared at the Computer History Museum in Mountain View, California. During his visit, Forstall explained how Jobs' hatred of a particular Microsoft employee was the impetus behind the development of the iPhone and the iPad. Apparently, a particular Microsoft executive would constantly bother Jobs with talk of styluses and tablets. If you've ever watched the entire iPhone unveiling on tape, you know how much Apple's co-founder hated the stylus. Jobs also couldn't stand hearing this guy talk about tablets, so he had Apple work on its own slate. Keep in mind that this was prior to the start of the project that delivered the iPhone. Forstall said that the original tablet project soon changed focus after Jobs realized that smartphones could hurt iPod sales since users were listening to music on these devices. After seeing a demo of the tablet software being developed by Apple, he asked Forstall to shrink it down to the size of a smartphone. Viewing that software demo gave Jobs the confidence to.put the tablet project on hold; everything then went full steam ahead toward the creation of a handset. Three years after the iPhone was first introduced, the Apple iPad was made official. Forstall has been extremely quiet since being let go in 2012 by Tim Cook after the Apple Map fiasco. Apple debuted its own native mapping app to replace Google Maps on its iOS powered devices, and it provided incorrect directions, misnamed landmarks, and was considered life-threatening by some. Forstall was fired for refusing to sign an apology for Maps. Eventually, Apple did correct all of the app's mistakes. In the history of Apple, Microsoft at one time played an important part in keeping Apple alive when it was thisclose to going under. And now we discover that an unnamed Microsoft employee was the inspiration behind Apple's most important product ever. It just goes to show that you never know where true inspiration will come from. "Forstall was fired for refusing to sign an apology for Maps." No comments. Steve jobs was only good at marketing. I dont know why people think of him as a technology genius. His ideas during the year 2008 were great but after that didn't do much. But he was better than Tim cook. True. Any company could have done what Apple did, would they be as good as Apple in marketing (like paying iPhoneArena for reviews) and building a clean and pure image. 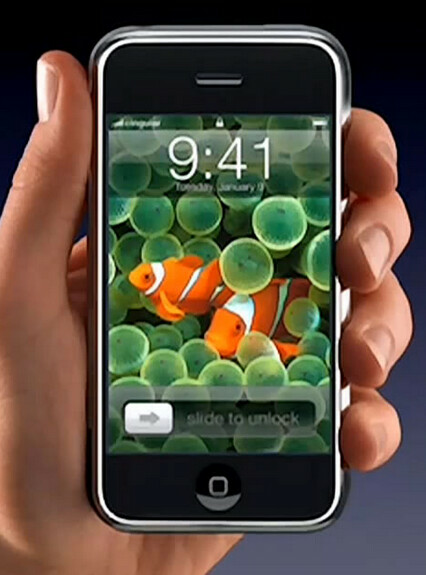 Before 2007, Apple was very good at building this image with there Apple Stores, white plastic products, and advertisements. Yeah but Samsung is only good at marketing too, and yet you love them. Let's take a quick look at Samsung's technological prowess; Infinity Display-created by the flat panel display section of Toppan, licensed to Samsung. Samsung Pay-Loop Pay, company bought by Samsung. Bixby-Viv Labs, bought by Samsung 10nm, 7nm, 6nm, 4nm, etc, processes-developed by the university members of SEMATECH, licensed to Samsung for hefty fees. Samsung has yet to find a company that can build the fingerprint sensor under the front display with any appreciable degree of quality, and Samsung's own engineering staff is so hamstrung that they're unable to assist said third party in achieving that goal. So outside of being able to buy other people's technology and ideas, seems Samsung ain't much more a technology company than Apple. You're welcome. You love me more than you love your mail order bride. Steve Jobs was a ignorant, not the man at all, dictator, idiot! Don't know why people think he was a god. Waiting for HillaryClinton2020 to comment. Waiting for biggest isheep Piyath to comment. iOS vs Android... it's like rock vs rap. They are not the same. Different focus in market & pricing. Android is more open source for phone techies adjust things as they like. As a android owner makes a lot of glitch when 3 different companies are playing with one product... Google, phone makers, and tele-providers. iOs is more closed sourced and not for techies (really) and one company from beginning to end product. I may be wrong but don't see providers making noticeable changes. Now that we know we are different, why not focus on what we can make better together?